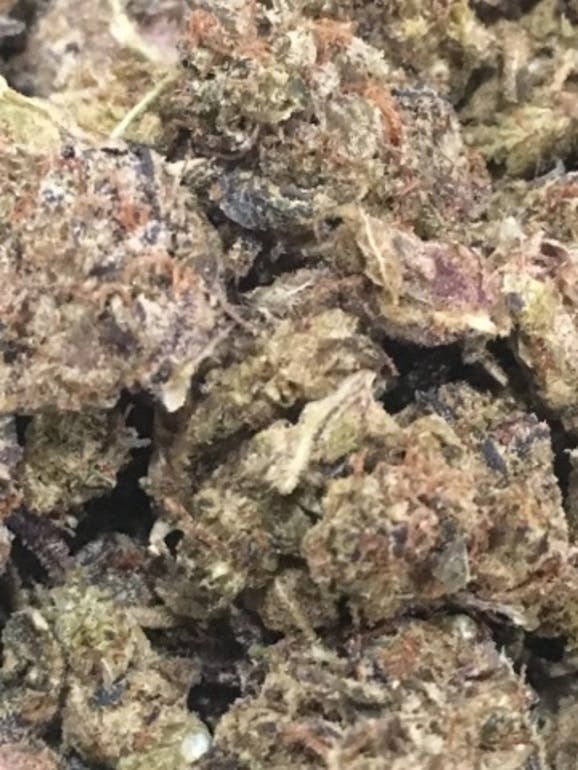 Indica Dominant Hybrid - 80% Indica / 20% Sativa - THC: 20%, CBD: 1% Purple Punch is a rare indica dominant hybrid (80% indica/20% sativa) strain created through crossing the classic Larry OG with the deliciously potent Grand Daddy Purps. With a one-two punch to the head of euphoric lifted effects and a super high 18-20% average THC level, you’ll feel the knockout high of Purple Punch almost immediately. You’ll feel a slam of euphoria followed by a heady lift that launches you into a state of pure happiness. As your mind creeps higher and higher, your body will begin to drift away into a relaxing state that is very sedative and heady, often leading to a long and peaceful sleep. In combination with its high THC level, these effects make Purple Punch perfect for killing the effects of insomnia, chronic stress, nausea, chronic pain, and depression. This bud has fluffy oversized bright neon green nugs with sparse red orange hairs and a coating of frosty tiny amber crystal trichomes. As you break apart each little nugget, aromas of earthy blueberries and grapes are released accented by a sweet herbal overtone. The flavor is very sweet with a vanilla blueberry taste that has a touch of slightly sour grape candy.